Virginia Cooperative Extension will present “Succession Solutions for Farm Families” on Thursday, Oct. 23 from 9 a.m. to 3 p.m. at the Staunton Holiday Inn – I-81, Exit 225. Succession is the watershed issue facing America’s family farmers. Planning for a smooth ownership transition and preparing the next generation to lead is tough. Providing financial security and eliminating the estate tax can be complex and confusing. If multigenerational success is your goal, this presentation is for you. In this session, participants will learn the five keys to preserving the farm, and passing a successful operation to a well-prepared next generation. During the session, you’ll learn about the planning process, good communication strategies, and how to overcome obstacles. Utilizing tips from this workshop will help ensure the farm remains in the family, provides financial security, and offers career opportunities for generations to come. Workshop participants will gain the confidence and preliminary tools to seek succession solutions for their farm family. Presenter Kevin Spafford is the founder of Legacy by Design, a firm dedicated to providing succession solutions for farm families. Over the last ten years, he’s spearheaded initiatives to improve the way farmers, ranchers, and agribusiness owners engage in the succession planning process. 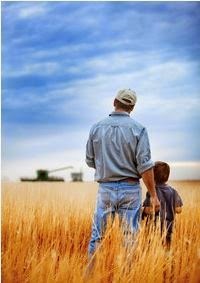 In 2013, Legacy by Design introduced eLegacyConnect, an online succession planning community complete with action plans, resource library, forums, a roster of advisors, and many other features to help farm and agribusiness owners plan for the future. As the architect of the Farm Journal Legacy Project, Kevin has facilitated more than 100 live events benefitting thousands of farm families across the U.S. He involves audiences in experiences that encourage action and generate results. He is proud to share succession planning principles for Virginia Cooperative Extension, with sincere appreciation to the workshop sponsors.